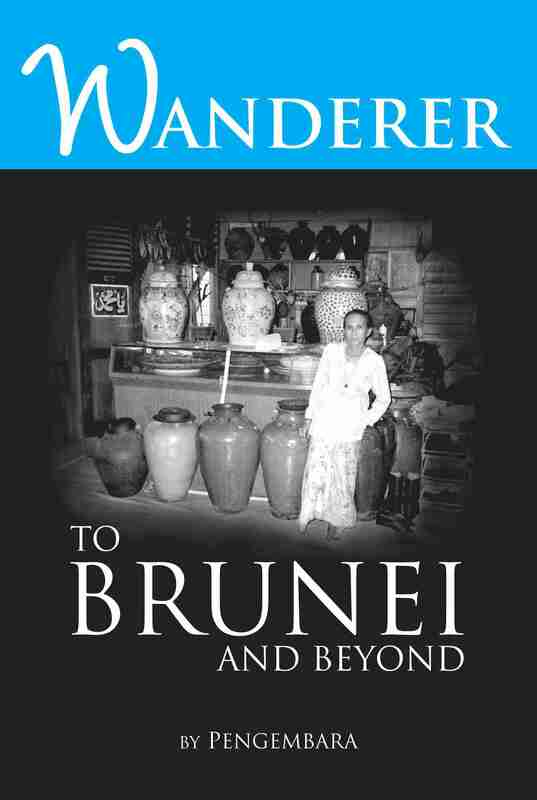 Wanderer to Brunei an d Beyond is the fourth book from the pen of a writer known as ‘Pengembara’. It has been eagerly awaited by readers of three previous titles which describe journeys in Brunei Darussalam and the Malaysian Borneo territories of Sabah and Sarawak. This newest title begins with an exploration of seldom visited islands in Brunei Bay and goes on to describe a variety of destinations in Brunei, as well as Peninsular Malaysia and Thailand, referred to as the destinations ‘beyond’. The writings found in this new book are the sum of Pengembara’s journeys. Read them and you travel with him, across borders in Borneo from Pengembara’s home in the Malay Sultanate of Brunei Darussalam into the East Malaysian states of Sabah and Sarawak. Follow in his footsteps as he virtually guides you from one breathtaking and exotic locale to another, from Berbunot (The Charcoal Island) to Berambang and on to a gruelling 6-hour hike “through mixed dipterocarp and peat swamp forest” to the Sarawak border. Known by locals as the ‘Marudi Trail’, this pathway is not without its thrills and tragedies – it was once used by smugglers and the bodies of two young boys were found there some years back, minus their heads. It’s not all rip-roaring adventure all the way of course; elsewhere, Pengembara also introduces the reader to ‘gentler’ topics such as Brunei’s art scene, ceremonies, famous houses, language and customs. The writer’s name ‘Pengembara’ translates from Malay as ‘Wanderer’ and is apt for one who has traversed the highways and byways of Brunei Darussalam and beyond. As Malay culture and discourse, written or spoken, sidesteps egocentrism, the first-person singular pronoun ‘I’ is not to be found in his writings – only his nom de plume. Seldom will readers encounter the past tense either, for the stories are often told in the present. His is an ongoing journey and one which is timeless. As Pengembara walks he observes the scenery around him, the villages or towns he is passing through and the people he meets. His mind is at work, insouciantly internalising, analysing and occasionally philosophising. Read on and keep in step with Pengembara. He should prove a congenial travelling companion. About the author: ‘Pengembara’ is the pseudonym of one C.H. Gallop, a former expatriate headmaster at Sufri Bolkiah English School in Tutong District, Brunei for almost three decades. He studied at London University, later obtaining a Masters degree in Malay Literature from Universiti Sains Malaysia. The writings which form this compilation first appeared in Brunei Darussalam’s leading daily, the Borneo Bulletin, between 1991 and 1993.